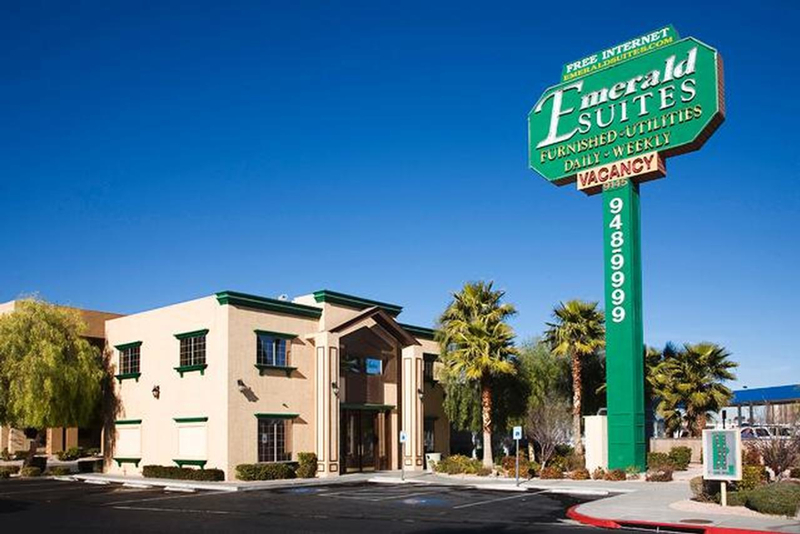 The Emerald Suites on Las Vegas Boulevard is not only located on the fabulous Las Vegas Strip - four miles south of Mandalay Bay - but it's also the chain's flagship Vegas property with more than 350 fully furnished suites (one and two bedrooms with separate living areas), a lagoon-style pool, a state-of-the-art fitness center and two on-site laundry facilities. This extended-stay property features suites with a Whirlpool kitchen that includes a frost-free refrigerator, dishwasher, microwave, oven and stove, high-speed Internet access and satellite television. Housekeeping and linen service are included. Often used for corporate housing, there are also conference facilities with catering and audiovisual services. 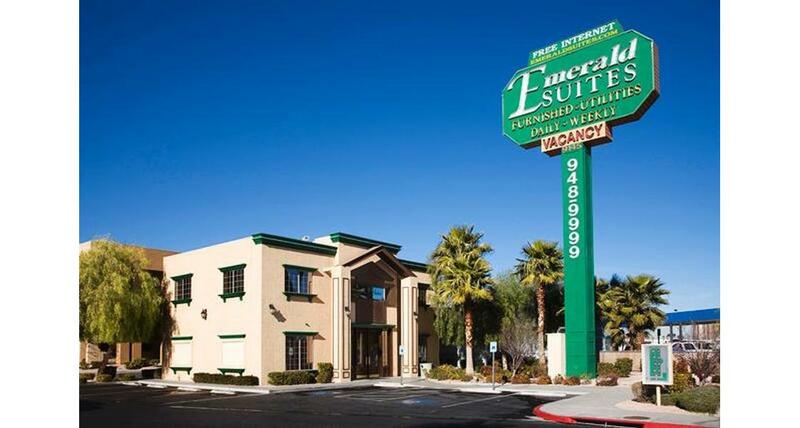 It's also conveniently located near the Interstate-15 and Intersate-215 freeways with easy access to McCarran International Airport.